"Welcome to the A.V." gives foreign military members the chance to see what the Antelope Valley has to offer when they are stationed at Edwards AFB. LANCASTER, Calif.–The Edwards AFB Civilian-Military Support Group welcomed foreign military members and Airmen recently stationed at Edwards to the Antelope Valley Jan. 29. 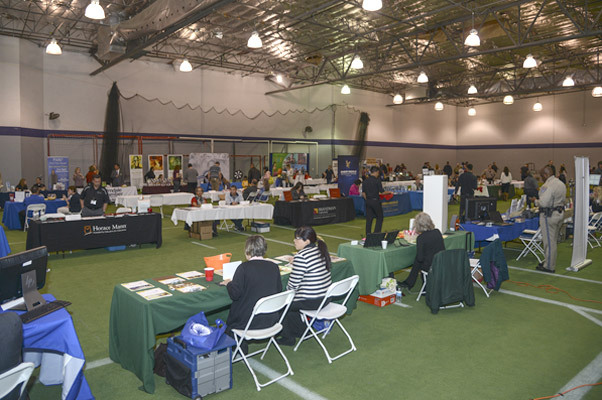 The University of Antelope Valley Pioneer Event Center (PEC) in Lancaster, Calif., was filled with informational booths regarding health care, education, recreation and much more. 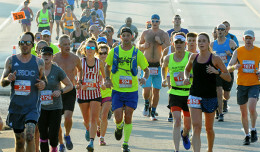 The third annual “Welcome to the AV” event was designed to show allied military members the resources that the Antelope Valley has to offer. 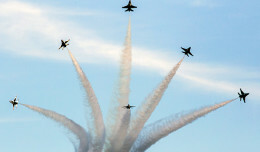 This year, the invitation was also extended to U.S. military members that are new to the area. “When our military goes overseas, they show up at their base, everything is there…When foreign military comes here it’s not like that, they have to start from scratch,” said John Fergione, Edwards AFB Civ-Mil president. According to Fergione, the event was moved to the PEC because they had outgrown their previous venue with 46 vendors and around 100 guests that registered to attend. All military members and their families in attendance were invited talk to vendors and enjoy a catered meal at no charge. 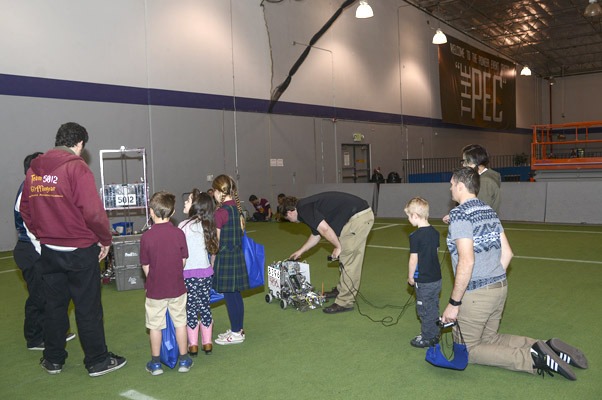 Children in attendance at the annual “Welcome to the A.V.” event got a chance to see the robots created by robotics teams at local Antelope Valley schools. Civ-Mil is a non-profit organization that has been working for the last 26 years to improve the quality of life for the residents of Edwards AFB. Every year, the group spends as much as they can afford on projects at Edwards. “The [program] I kind of like the most, and it’s an on-going program, is the Edwards emergency relief fund,” said Fergione. Civ-Mil is also credited with building the flag park across from Bldg. 1 on Edwards and donating three sets of replacement flags each year. With the wind and weather at Edwards, one set of 56 flags will last around four months. They have also donated to the Airman’s Attic and Higher Grounds internet café. 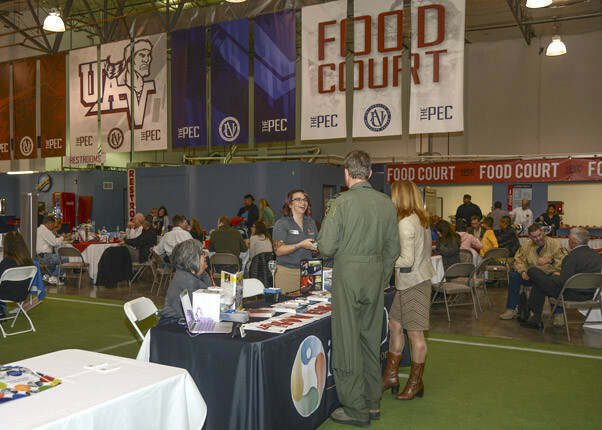 Edwards AFB Civilian-Military Support Group hosted the third annual “Welcome to the A.V.” event at the University of Antelope Valley Pioneer Event Center Jan. 29.